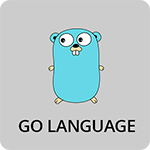 Metadata associated with the Go library for SignalFx can be found here. The relevant code for the library can be found here. For more information regarding installation, usage, and examples see https://github.com/signalfx/golib/tree/master/sfxclient.